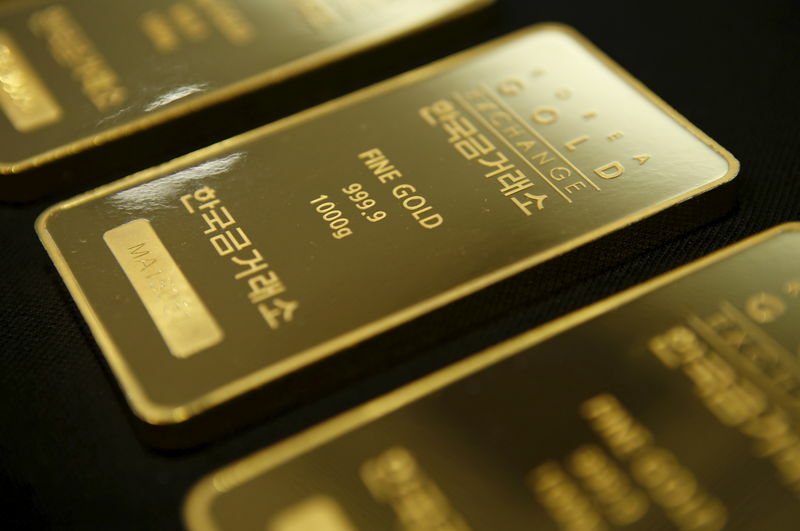 Investing.com – Gold prices fell on Thursday as U.S. dollar strength pressured the dollar-denominated metal lower and higher equities stripped the safe-haven asset of its appeal. At 10:15 AM ET (14:15 GMT), for June delivery on the Comex division of the New York Mercantile Exchange fell $17.95, or 1.4%, to $1,298.95 a troy ounce. “Gold is struggling once again as two of its three main engines sputter. While U.S. Treasury action remains supportive, stable stocks and a stronger dollar aren’t‏,” Ole Hansen, head of commodity strategy at SaxoBank, said. The traded at a two-week high, making dollar-denominated gold more expensive for holders of other currencies. The greenback benefitted principally from weakness seen in sterling after the British parliament failed to reach a majority in indicative votes on Wednesday, leaving the U.K. no closer to a Brexit resolution. U.S. stocks remained stable on Thursday after a report that the U.S. and China had made progress in all areas in trade talks, bolstering risk sentiment to no avail for safe-haven gold. U.S. Trade Representative Robert Lighthizer and Treasury Secretary Steven Mnuchin were in Beijing for the latest round of negotiations and Reuters’ sources said that China had made “unprecedented proposals” on a range of issues. Global bond yields pressed lower as fears of slowing growth spurred speculation that central banks would need to ease policy. Lower yields benefit gold as it reduces the opportunity cost of holding non-yielding bullion. In other metals trading, lost 1.5% at $15.072 a troy ounce by 10:17 AM ET (14:17 GMT). tumbled 6.7% to $1,326.90 an ounce, while sister metal traded down 1.9% at $846.00. In base metals, gained 0.4% to $2.874 a pound.